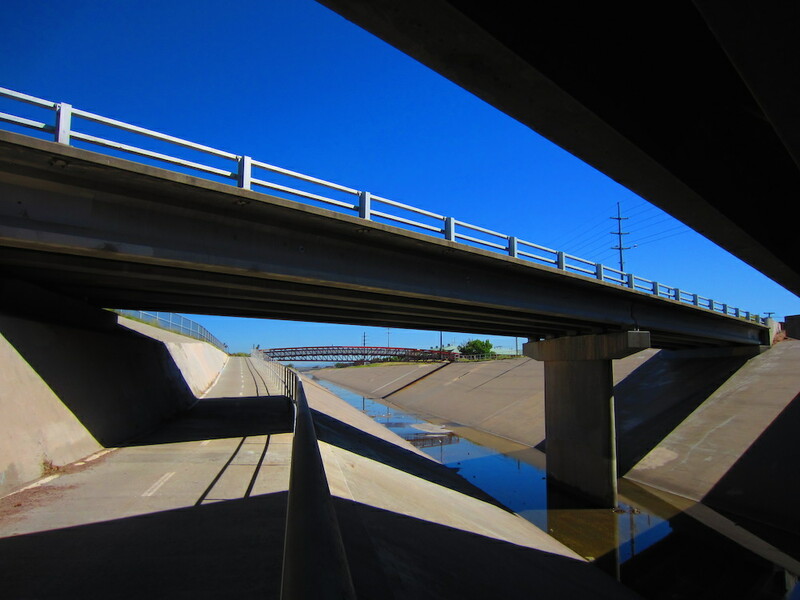 The view from underneath one of the many bridges crossing the North Diversion Channel Trail. I took a break from writing up my review of the Felt V100 to log a few miles on one of my own bikes for a change — Old Reliable, the Soma Double Cross. The weather has been heating up here, and so my usual practice — arise, caffeinate, cast a baleful eye upon the news, do a bit of work, and then ride sometime around 10 a.m. — has come to a screeching halt. Today I rolled out of the garage just after eight in the ayem, and what a lovely morning it was. Got in 40 miles before lunch and even sprawled out on the couch for a while, imitating the cats. I didn’t notice until midafternoon that Goodhair Perry and his eyeglasses have clambered into the GOP clown car. That crowd is gonna need to borrow Bruno Mars’s stretch limo to get around until the Faux News debate format thins the herd a mite. Somehow I doubt that wearing spectacles will prevent Goodhair from becoming one. I bet the bags of hammers snicker when he walks into a Home Depot and steps on all the rakes. This entry was posted on June 4, 2015 at 4:19 pm and is filed under Adventure Cyclist, Agitprop, Albuquerque, Bike stuff, Deep political thought. You can follow any responses to this entry through the RSS 2.0 feed. You can leave a response, or trackback from your own site. Hi Patrick, Since you’ve mentioned your ‘old reliable’, I’ve just logged my first week on a new Double Cross. Wow, where have I been? This is one sweet ride. Commute to work is the highlight of the day! No real heat here in SoCal, June gloom in full effect this week. AM drizzle, PM breeze & clearing. Hey, Doug … nice-looking steed you have there. The Double Cross is a great, affordable all-rounder. 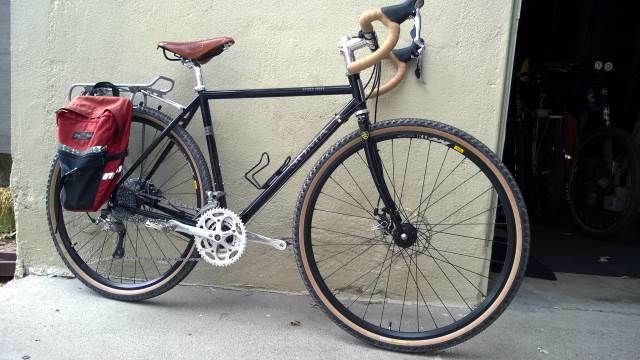 I’ve used mine for lightly loaded touring, grocery shopping, plain ol’ exercise, and even cyclocross. As President of the Bags of Hammers Society, I object to our members being associated with the Republicans running for President. Would them be rubber hammers? And I have the floor and will not yeild. When I put specs on several years back, I didn’t do it to look smarter, but I fear that Mr. Perry thinks the specs will fool the fools that he counts on for success. Funny, I’ve been wearing specs since I was a teenager and nobody ever thought I looked smart. Specs do seem to be a stereotype for smart. I think I am far dumber since I started wearing them. Scary thing is, by modern debate scoring, he doesn’t have to make any sense in any of his appearances — he just has to make more sense than he did last time around. And that is a ridiculously low bar. A pill bug with a 75 pound ruck sack could leap over that. Strange how, in all the coverage, the fact that he is currently under indictment for campaign finance irregularities has not been mentioned. Nobody cares about indictments – BENGHAZI!!!! Can whoever emerges from the clown car with the Rethuglican nomination do a full 180 when the voters start paying attention to a presidential election? Can’t see how they have a chance otherwise. I might be on my bike at 8 something tomorrow morning…now that it’s ready to ride I might try to get a ride in before our first clients of the season arrive. It’s warm here in Monferrato, just named a UNESCO World Heritage site last year. Regarding governor Goodhair, somebody must listen to him. After all he was on tv a couple years ago praying for rain and look at Texas now! Just another professional politician, 31 years so far. Since it costs $1 Billion to run for prez, the oligarchs will decide who we get on both sides. The primaries and ridiculous caucuses are window dressing. 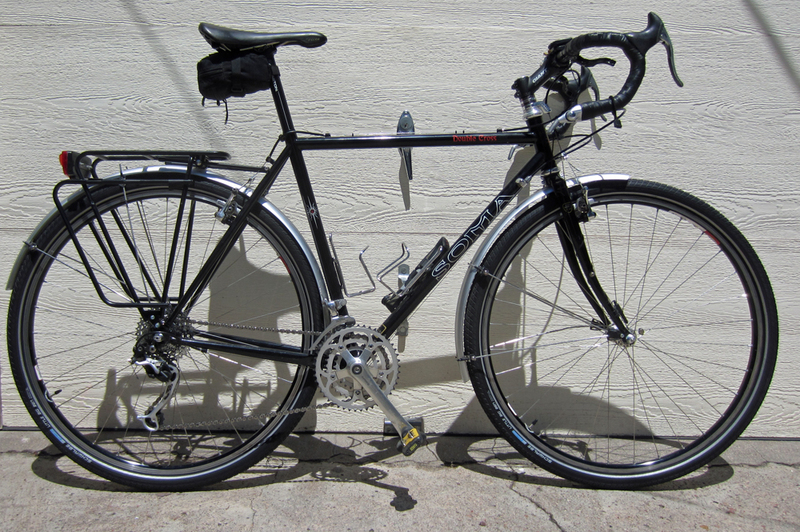 Wiggins – 54.526k. Fast fellow! Certainly, but they should have kept the hype about 55 kms down as “only” 54.526 is kind of a letdown. Bravo to Wiggins in any case, a guy who understands the history of cycling and wants to contribute rather than maximize his earning potential. Watching the Dauphine on Italian TV at present, hard to get very excited about this warmup for Le Beeg Shew.